Our world markets review this week covers the DAX Performance Index, Euro STOXX50, FTSE 100, Nikkei 225, Hang Seng Index, and Shanghai Composite, all of which were lower last week. 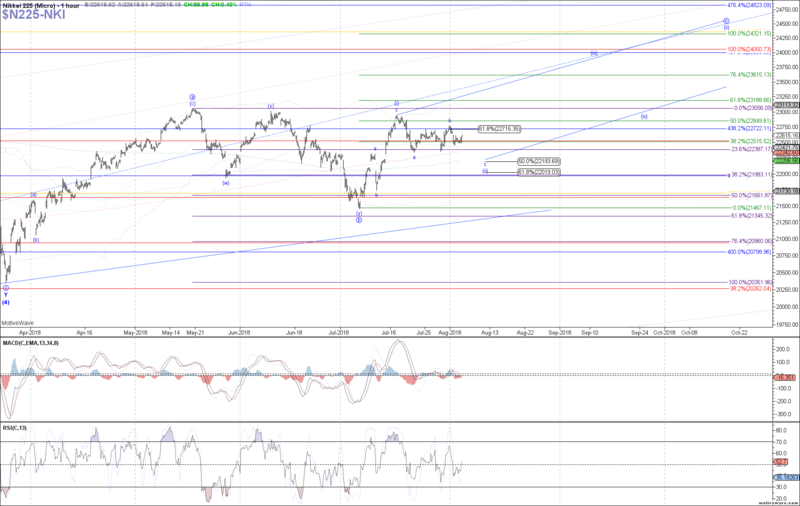 DAX: The DAX rolled over again last week as suggested, so far cooperating with the wider expanded flat for wave b of (a). 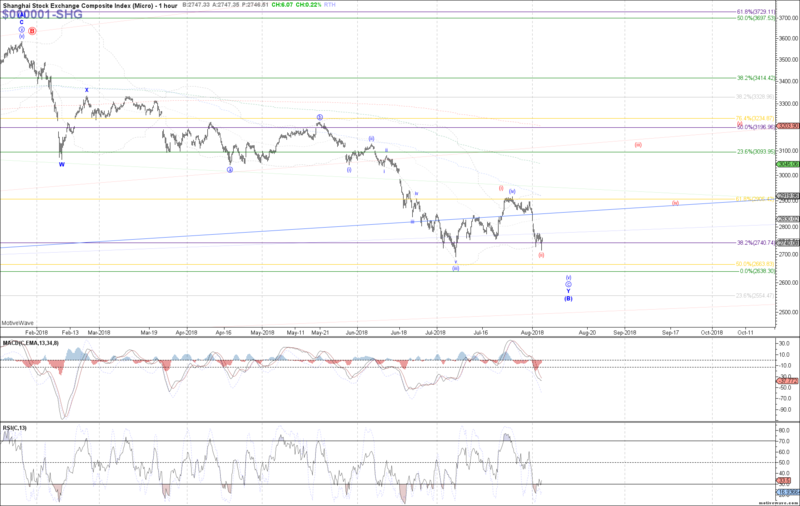 Although the minimum expected target of 12515 was reached already at last week’s low, the subwave structure suggests that one more leg down before wave C of b completes can still be seen. 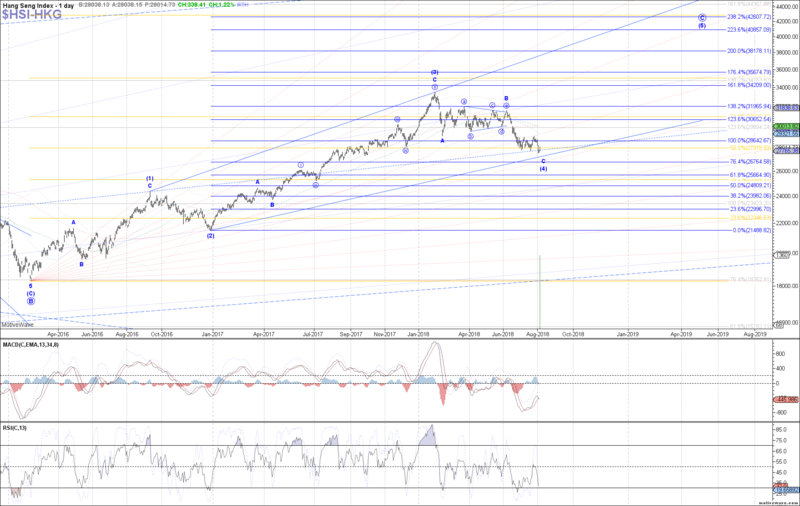 Therefore, as long as price remains below 12680, I would prefer a test of 12440 – 12355 as wave (5) of C before a bottom in wave b of (a) is seen. 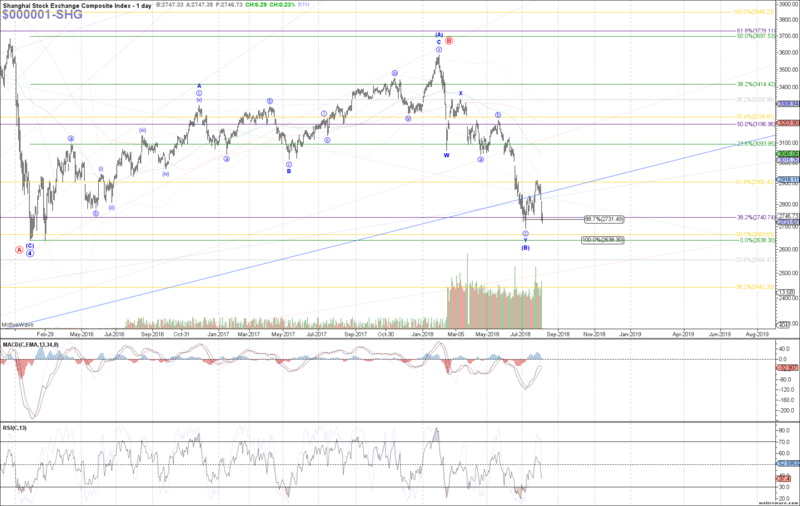 Above 12680 opens the door to a bottom already in place. FTSE: The FTSE traded lower overall last week, retesting the July low before bouncing again. 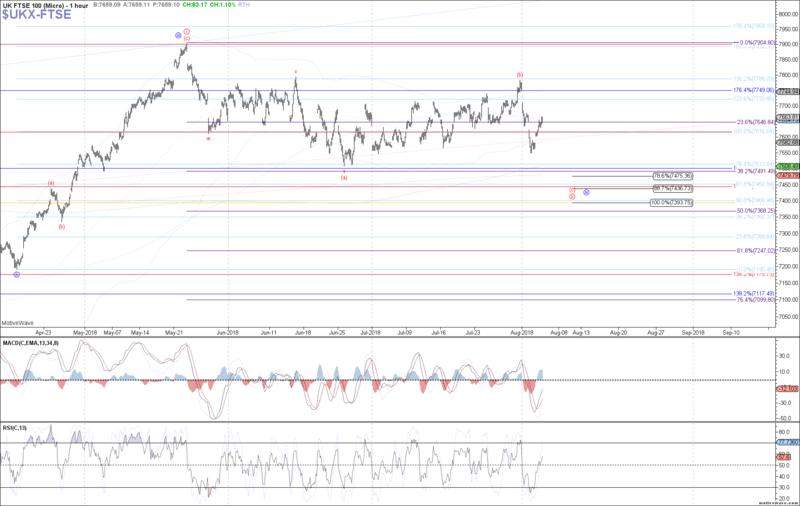 This price action has once again left us without a clear indication of a bottom in place for either wave ii in the red count or wave iv in blue, at least as long as price is below last week’s high. 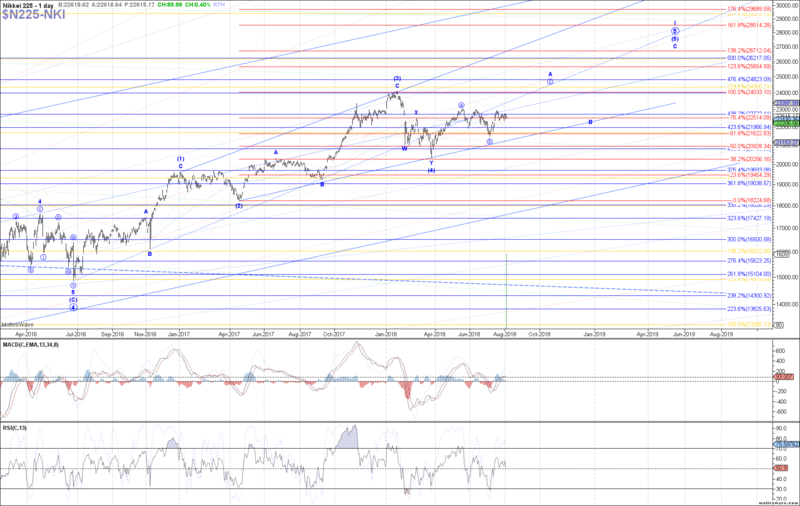 Therefore, one more leg down into 7475 – 7395 support is still possible as a wider flat off the May high. STOXX: Similar to the DAX, the STOXX traded lower last week as well, ideally completing a larger leading diagonal wave (i) at last week’s high and now pulling back in a corrective wave (ii). 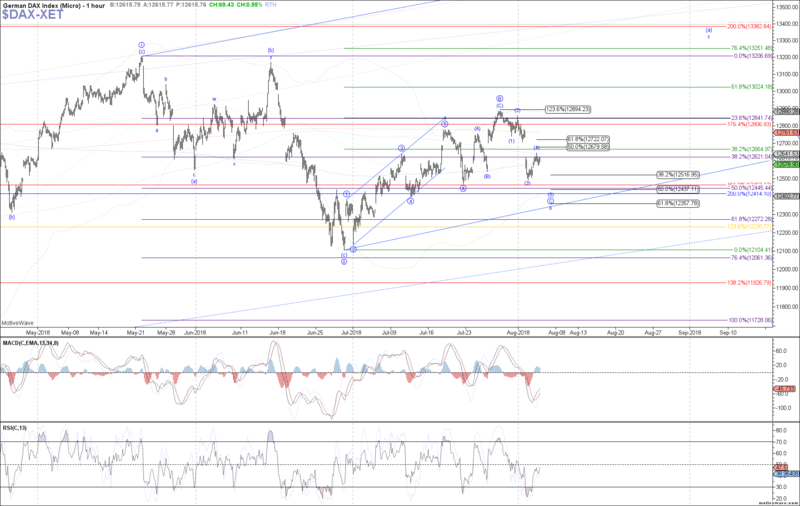 Although the minimum expected retrace target at 3460 was reached at last week’s low, ideally that only completed an a-wave of (ii), with room for another leg down still as wave c of (ii). 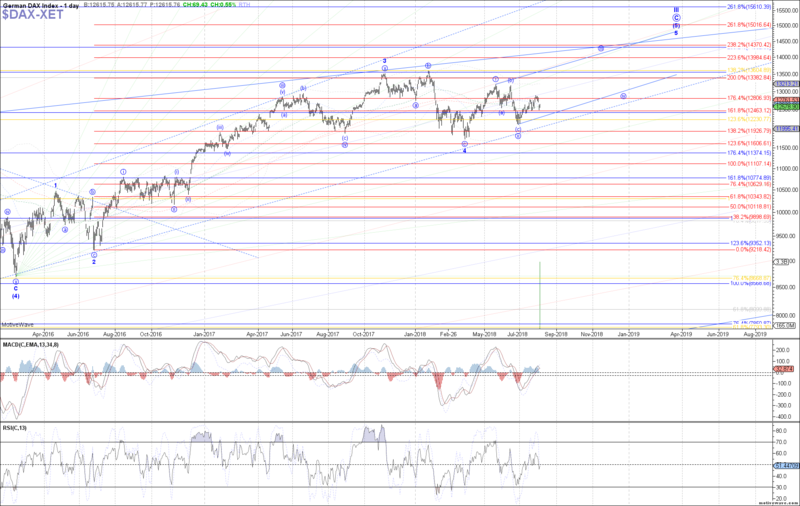 If so, then 3500 – 3510 is resistance that should hold as wave b of (ii), so a break above there opens the door to a bottom already in place. 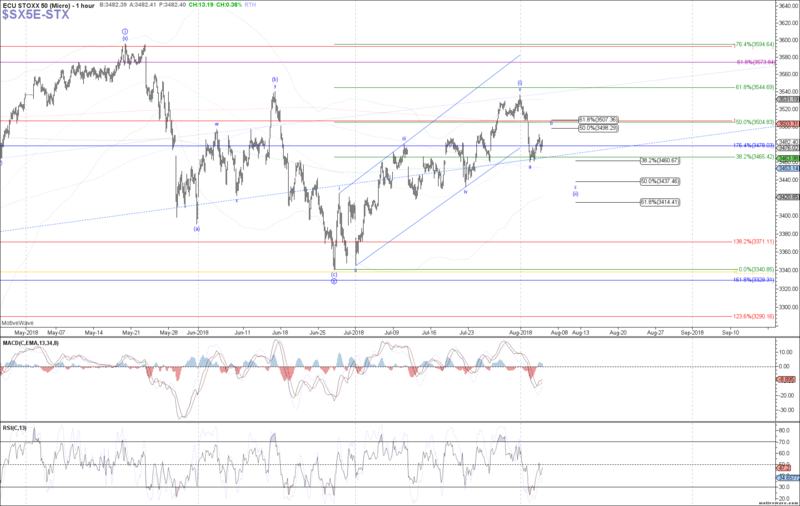 N225: The Nikkei remained relatively flat overall last week, filling out what counts best as a wider b-wave flat in the wave (ii) pullback off the July high. Therefore, as long as price remains below the high made last week, further near-term downside to complete wave c of (b) into the 22195 – 22020 target region below remains preferred. 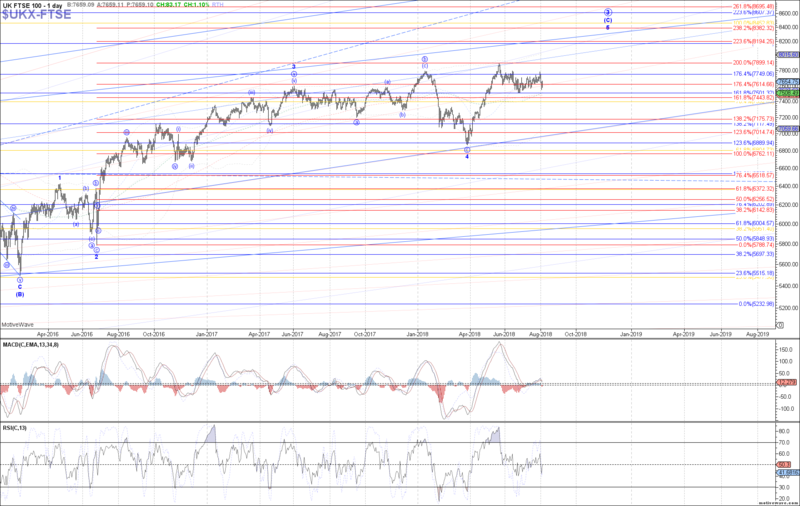 Above the high made last week opens the door to either a larger b-wave or the start of wave (iii) of c already. HSI: The Hang Seng traded lower last week, failing to hold support and instead making a new low below the lows made in July. Therefore, the price action has invalidated a bottom in place for wave C of (4), and opened the door to a test of fib support below at 27165. 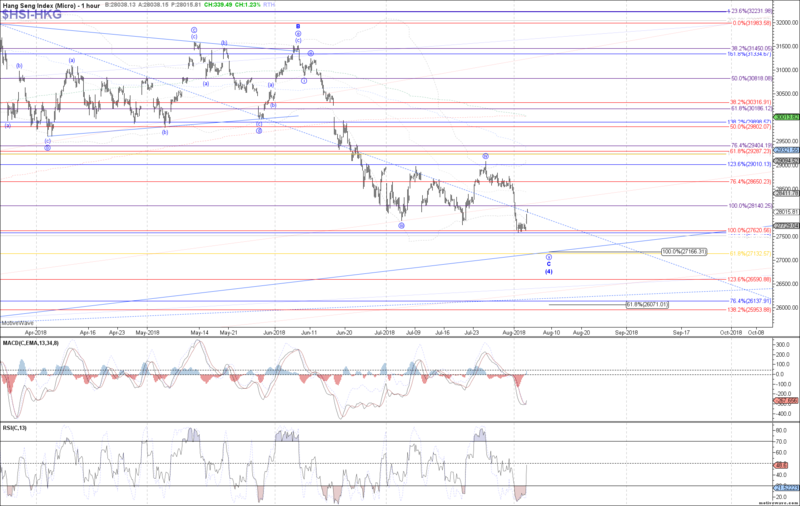 If price is going to make another low in order to reach that level, price should remain below 28170 on the current bounce as a micro 4th wave in wave v of C.
SSEC: The Shanghai Composite traded lower last week as well, failing to hold support for an impulse up off the July low but otherwise still trading above that prior low for now. Therefore, a (i)-(ii) start to a larger diagonal or an (a)-(b) of a corrective bounce is what we’re limited to for anything immediately bullish from here. Otherwise, the alternative remains a retest of the 2016 low near 2635 instead.